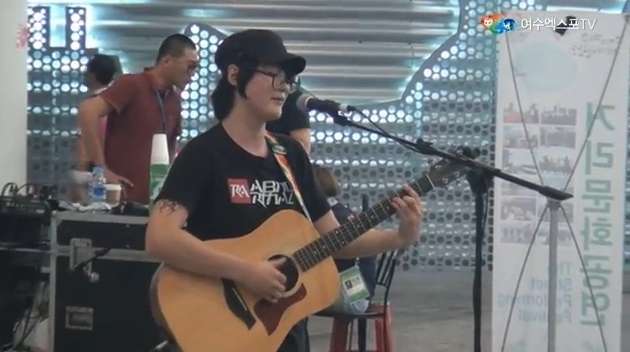 Yeony and Suny came back with the third story of Street Performing Festival! Some of the street performances had been loved since they tried to approach to the visitors first and communicate with them. Performers as well as audience can’t help loving this kind of performance if they feel in the same way. Then, let’s meet those interactive street performances. 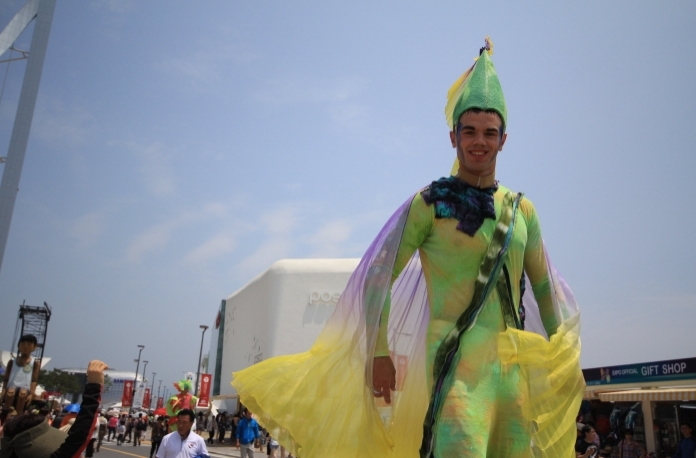 Meet the Stilt A,B Parade with the following video clip. Time to meet various bands which had performed during the expo this time! Meet this band with the following video clip. 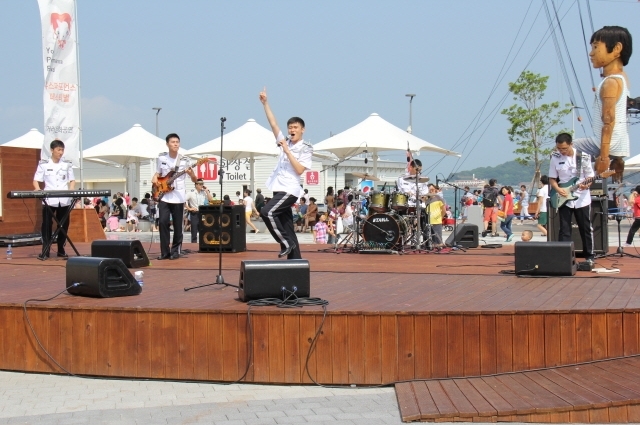 Sweet voices of a band named “Gyeongyu” attracted visitors. 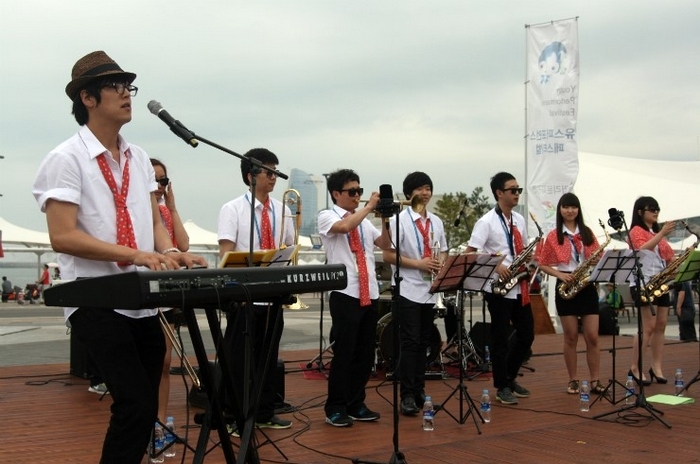 A jazz band, “Korea Junior Big Band” showed joyous harmony with a key board, saxophones, and trumpets.